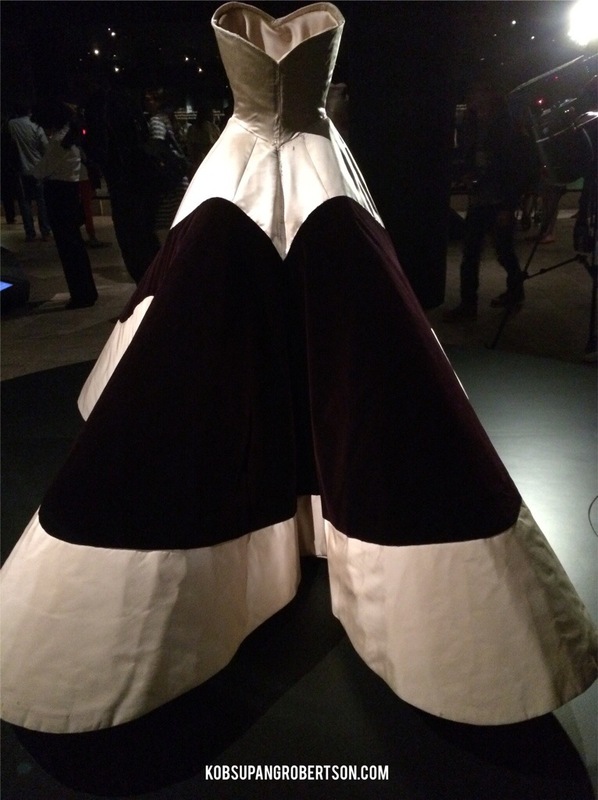 I am not a person who longs for Mondays, but this Monday in particular will top the rest of my Month in May because of all the hype about the Met Gala. 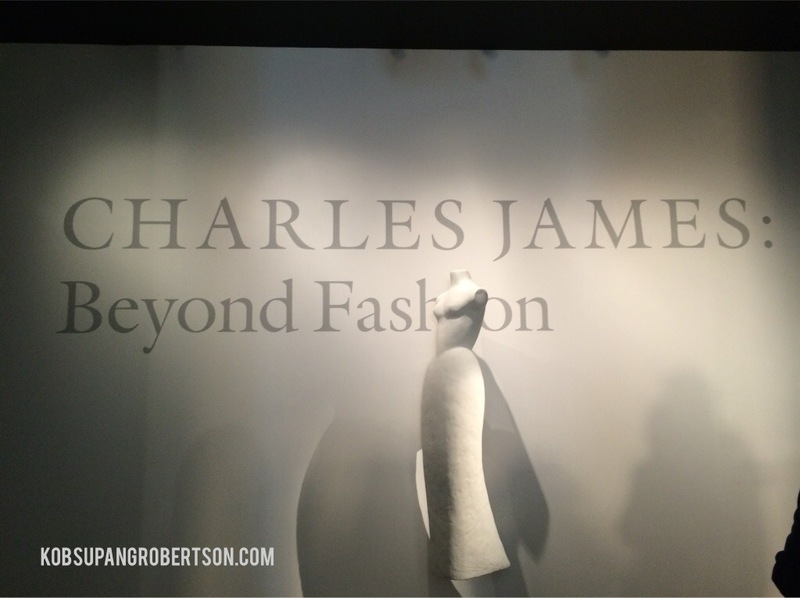 The name of the theme this year is “Charles James: Beyond Fashion.” I was lucky enough to be invited to attend the press preview for the Charles James: Beyond Fashion exhibition and opening of the new Anna Wintour Costume Center. 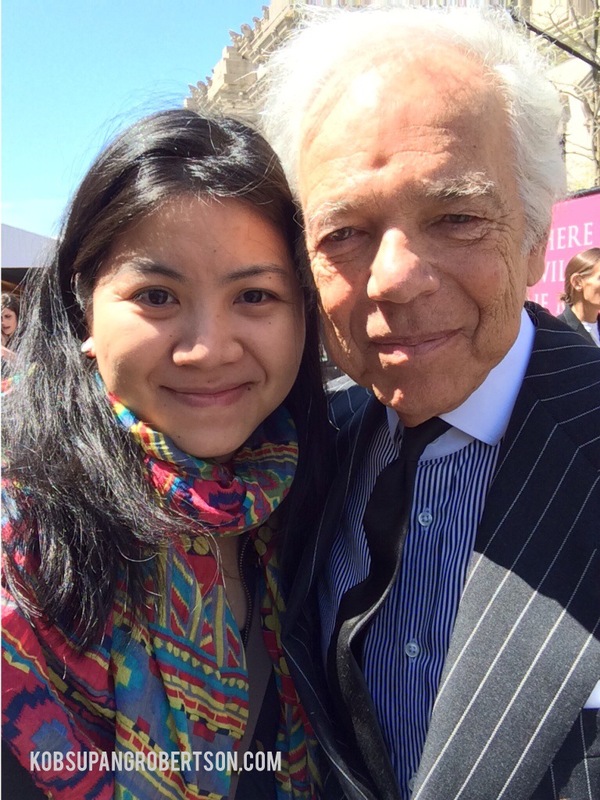 I arrived to the Met museum half hour early, and while waiting to get in, I realized that I was standing right next to Ralph Lauren! Of course, I stepped up and said hello. He was very pleasant and very nice. We took a picture together then I wished him good luck tonight. 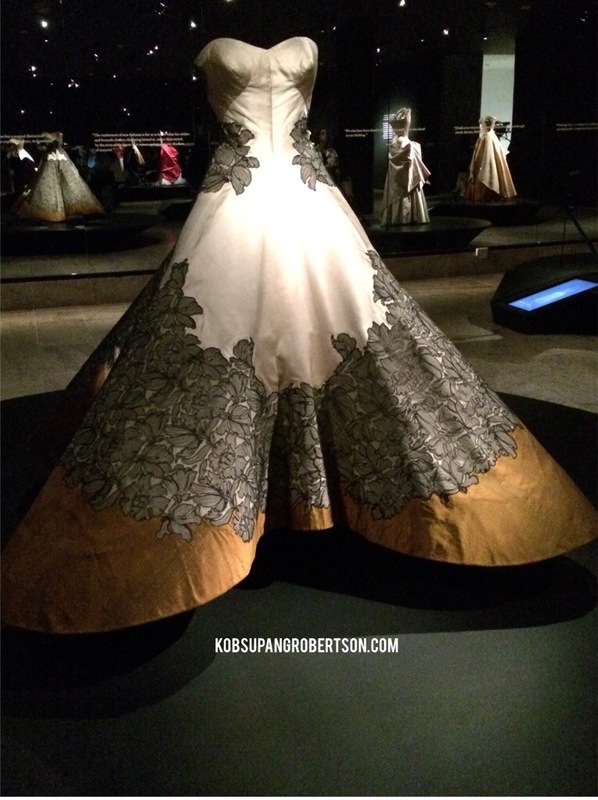 I’ve been to The Met before, but this time is beyond special. 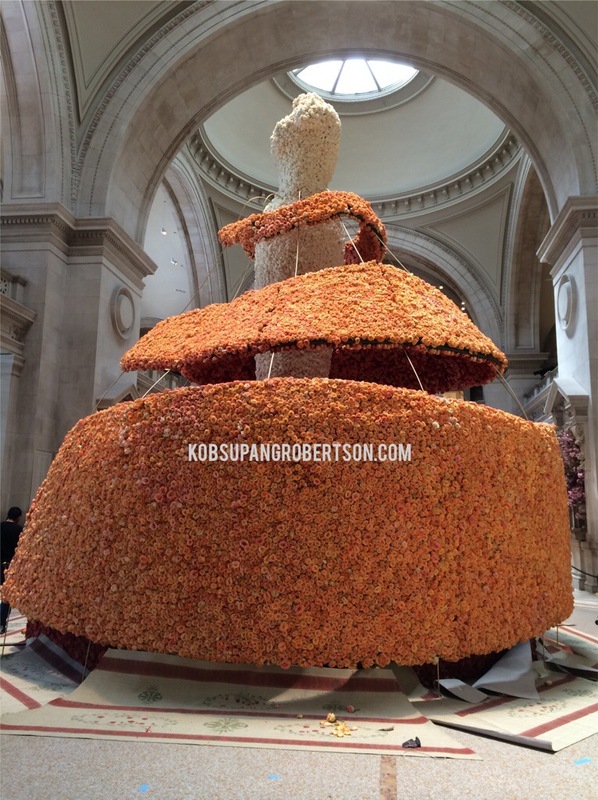 Seeing the sensational decorations as I made my way to the exhibition was awe-inspiring. 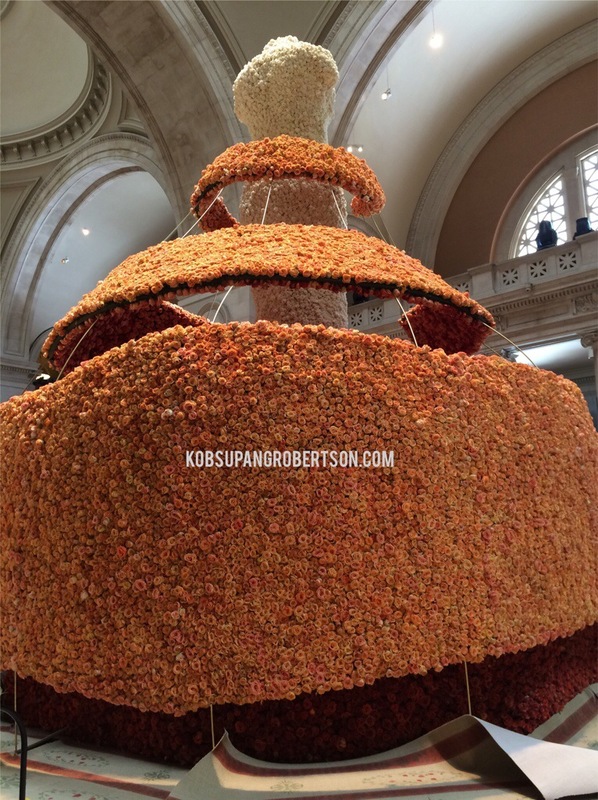 The displays revolved around a large sculpture–decorated with roses, conveying the focal point of the standing designs wrapped in the center of the hall to greet attendees tonight. It’s all about the process. 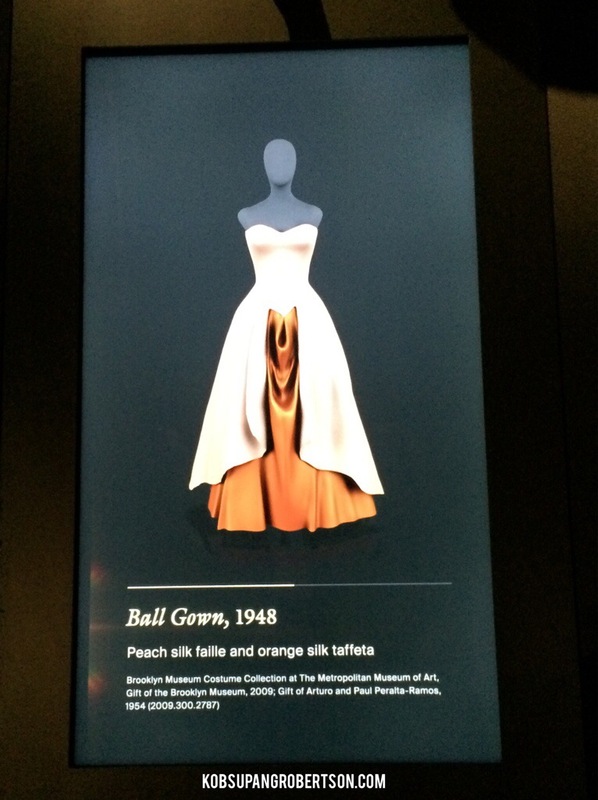 When entering to the exhibit, your eyes are drawn to a set of ball gowns, which display an extravagant, glowing, ivory. 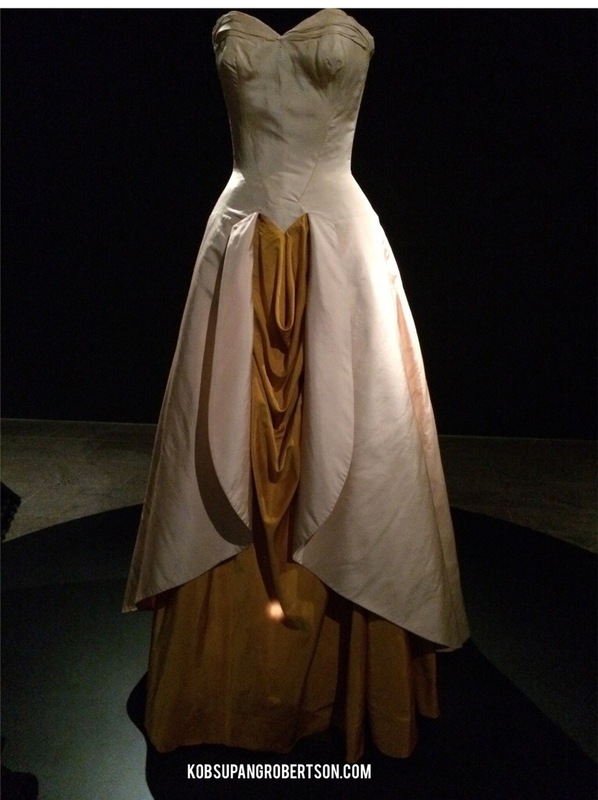 Charles James is most remembered by his lavish glamour of the evening dresses he conceived of during the late 1940s and early 1950s. 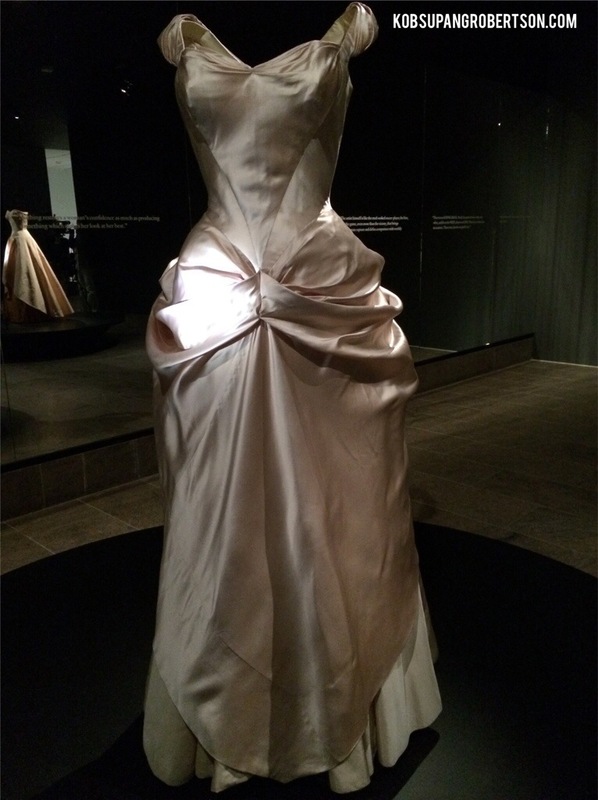 I scanned the room quickly and spotted a beautiful ivory silk ball gown standing in front of me which I adored. 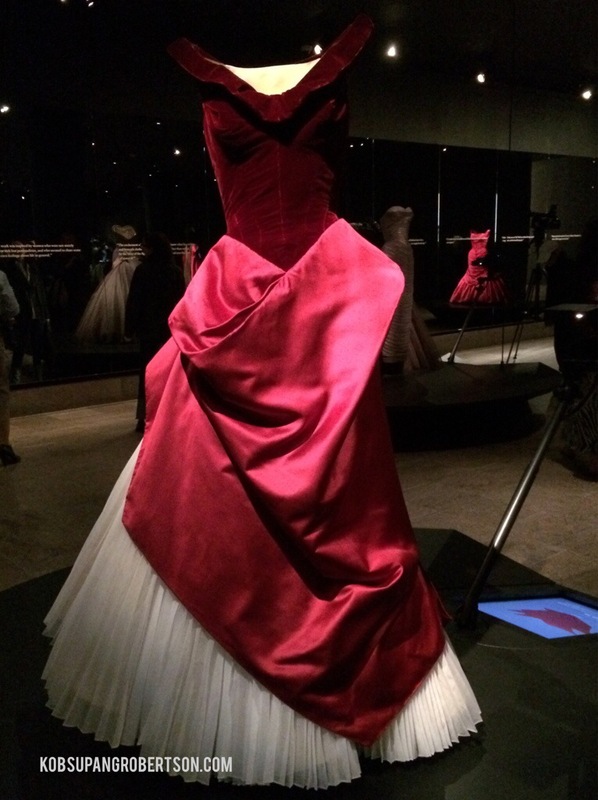 Another, red silk velvet and satin and white cotton organdy: A beautiful ball gown I couldn’t forget even if I tried to. 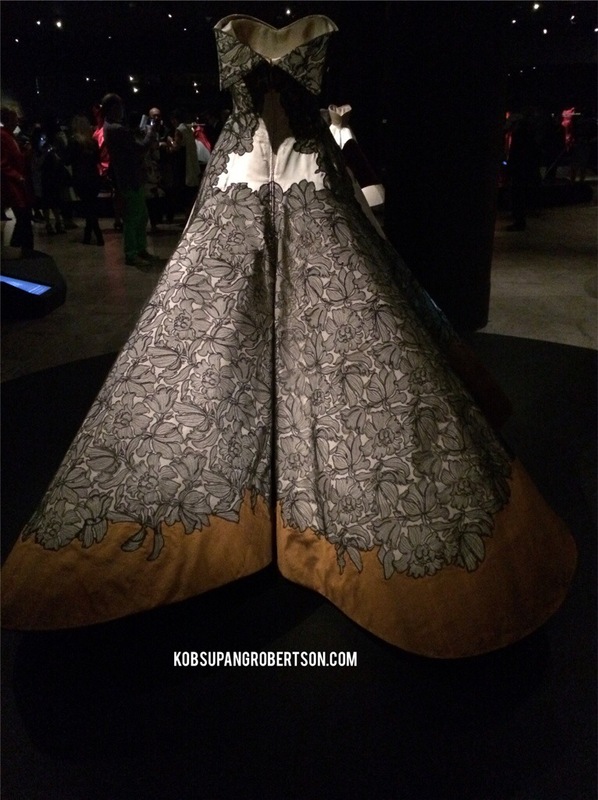 I was even in awe of many costumes I only first saw from afar– very elegant, stunning, and wonderfully beautiful! 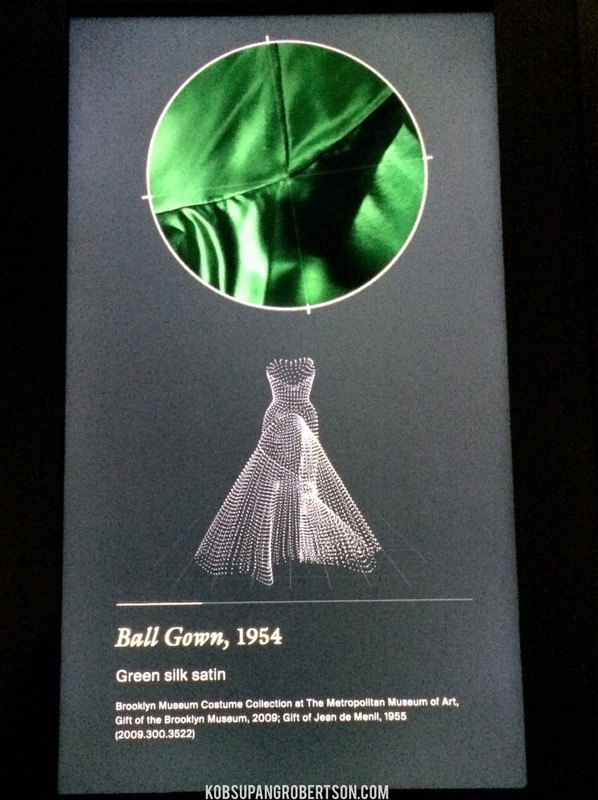 By each ball gown there sits display screens, a further deconstruction of the design process, and show demonstrations of how each dress is made! 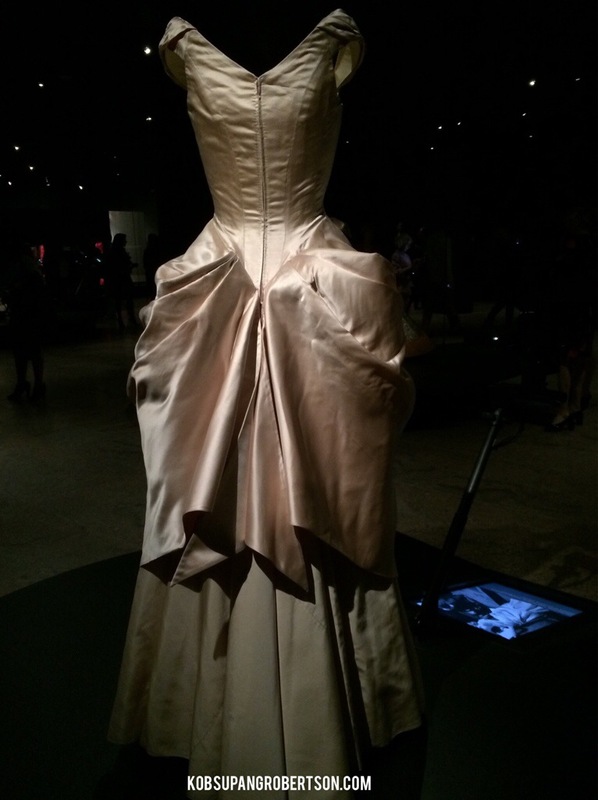 I was drawn into this stunning Clover Leaf Ball Gown, 1953 : Pink silk faille, copper silk shantung, and black silk lace with ivory silk faille backing. This one is by far one of my favorites because it stood out even under a dim light. I started out from the left and couldn’t keep my eyes off of it. 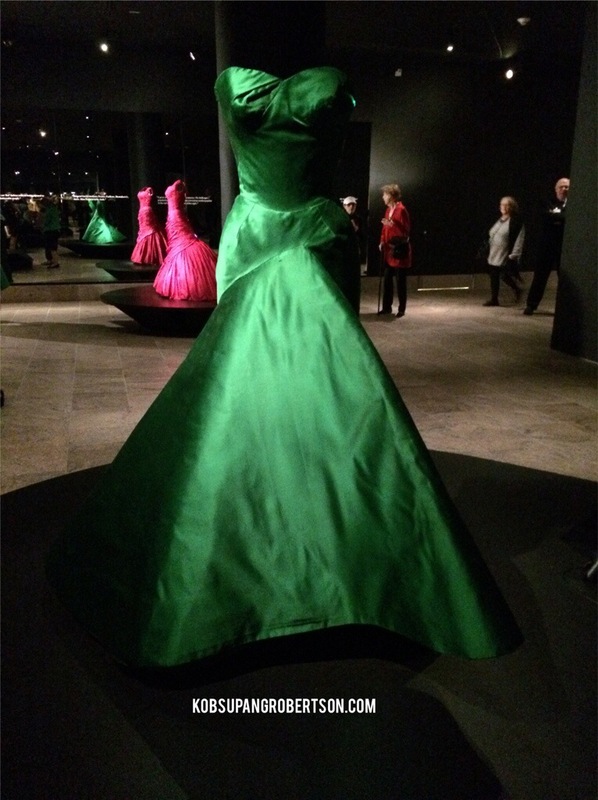 I spent about an hour checking out those elegant dresses and wish there was more time! 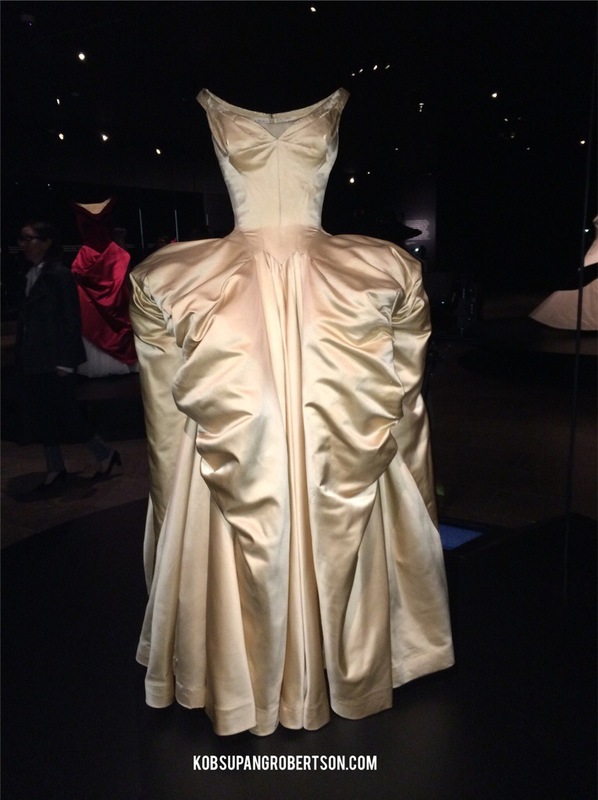 I could watch those screens for hours of how each dress was made. 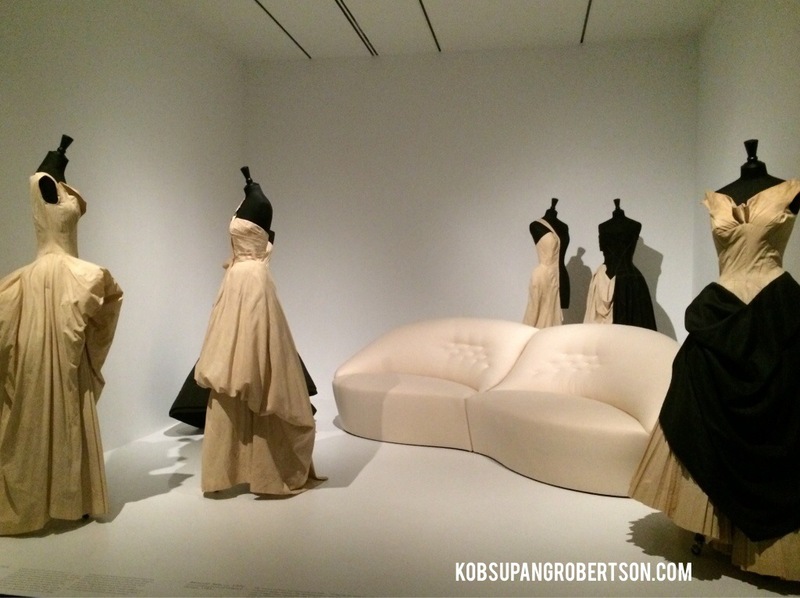 The exhibition will be open to public on Thursday, May 8th and run through August 10th. I already planned on going back. So, if you are in NYC or visiting NYC, this could be one of your destinations!